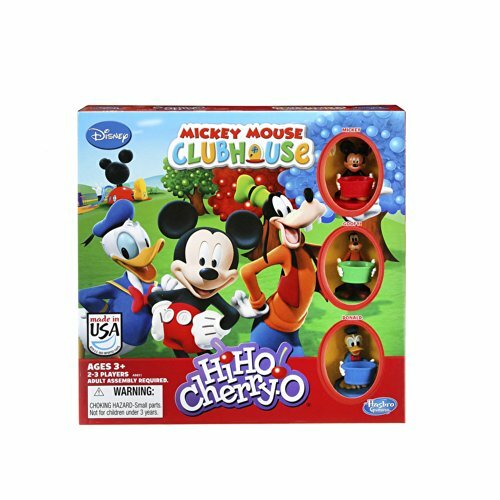 Have a Disneyfied picnic in this Mickey Mouse Clubhouse edition of the classic HiHo! Cherry-O game! Preschoolers have so much fun picking fruit to fill their baskets, they don't even realize they're developing and practicing math skills such as counting, addition and subtraction! Everybody picks a Mickey, Donald or Goofy character mover and then takes turns picking pretend cherries, blueberries and apples from their tree. Whoever picks all the fruit off their tree and puts it in their character mover’s basket is the winner! When it comes to a fruity, Mickey Mouse way to sharpen kids' math skills, you couldn't "pick" a better game! Copyright 2014 Disney. HiHo! Cherry-O and all related characters are trademarks of Hasbro. Check out this new version of the family favorite HiHo! Cherry-O game! Preschoolers have so much fun picking fruit to fill their baskets, they don't even realize they're developing and practicing math skills such as counting, addition and subtraction! Take turns picking pretend cherries, blueberries and apples from your tree and put them in your basket. Be the first to pick all the fruit from your tree and win! When it comes to a fruity fun way to sharpen kids' math skills, you couldn't "pick" a better game! HiHo! 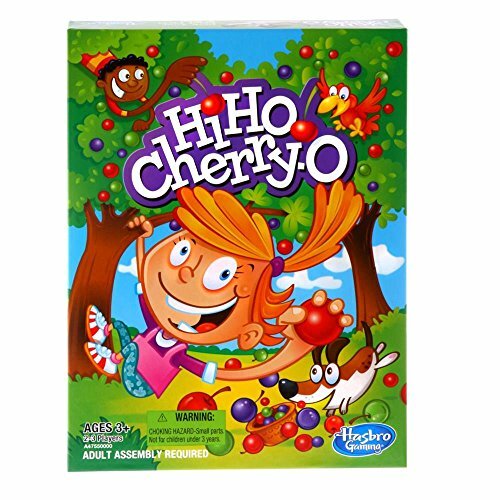 Cherry-O and all related characters are trademarks of Hasbro. Hours of fun and learning with three children's board games that have withstood the test of time. These classic games will be enjoyed by your children for years to come, as well as bringing back fond memories of your own childhood. 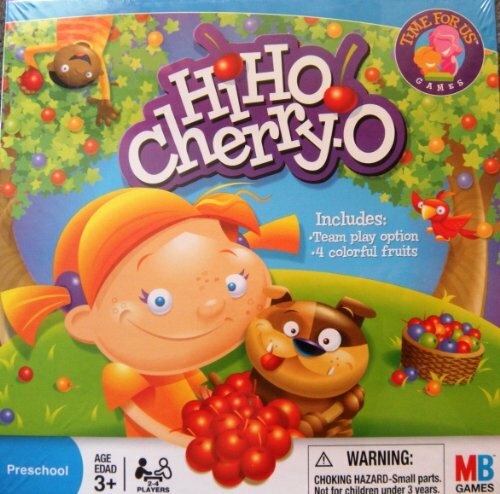 Hi Ho Cherry-O will delight and challenge preschoolers as they gather cherries, blueberries and applies, and practice math skills along the way. The first player to pick all the fruit from their tree wins! Each game comes with a game board, spinner with arrow and base, 10 cherries, 10 blueberries, 10 apples, a basket and instructions. A free storage bag is also included. 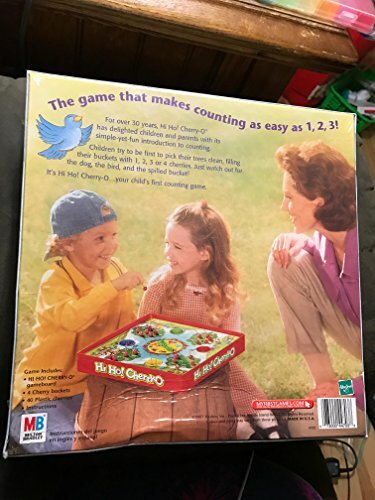 This game is recommended for 2-3 players ages 3 and up. Some adult assembly is required. 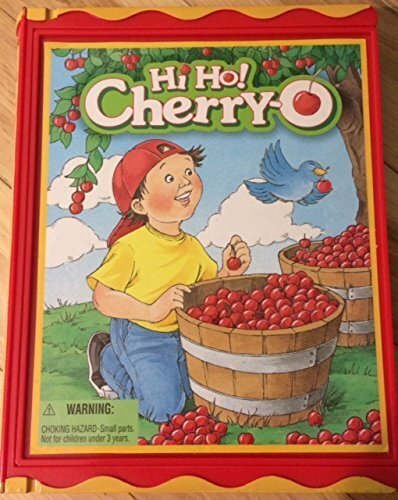 It's Hi Ho Cherry-O ... your child's first counting game. Be first to pick the tree clean, filling the bucket with cherries. Just watch out for the dog, the bird, and the spilled bucket! 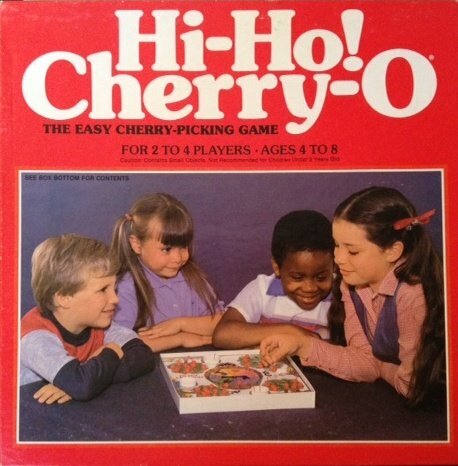 Game includes Hi-Ho Cherry-O gameboard, 4 cherry buckets, 40 red plastic cherries, and instructions. Instruction are in English and Spanish; reading is not required to play. For 2 to 4 players ages 3 to 6 years. Classic children's board game for decades by Parker Brothers. Promotes sharing and helps teach counting to preschool age children. Round and round she goes. Hi Ho! Cherry-O is the counting game in which players race to be the first to have 10 cherries in their basket. A spin of the arrow determines your fate. It will instruct you to pick one, two, three, or four cherries from your tree and put 'em in your basket. That is, of course, if you don't land on the bird or the dog, requiring you to take two cherries from your basket and return them to the tree. And try not to land on the spilled bucket or--you guessed it--spill the contents of your basket or you start over. 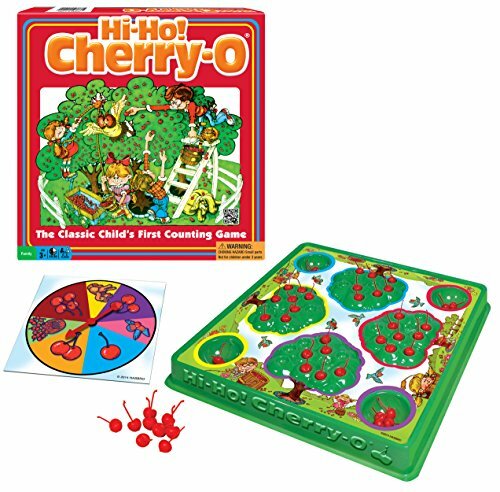 Want to play Hi Ho Cherry-O, but can't find the instructions? Find out how here. Have fun! What board game would you like to see next? Compare prices on Hi Ho Cherry Game at ShoppinGent.com – use promo codes and coupons for best offers and deals. Start smart buying with ShoppinGent.com right now and choose your golden price on every purchase.